Where Are Emergency Dentists Located? Locating the right emergency dentists in Virginia Beach will help you relieve the discomfort or swelling associated with a dental health problem. At our office, we provide comprehensive urgent dental care during regular business hours. We’re committed to seeing patients as quickly as possible, and we strive to create a relaxing atmosphere that helps patients feel less anxious. Our mission is to diagnose the problem quickly, provide effective pain relief, and stop the issue from recurring. What Dental Services are Considered Urgent? I’m experiencing uncomfortable symptoms, but I don’t know if finding emergency dental care near me is necessary. When should I call a local dentist? If you’ve cracked or broken a tooth, seeking emergency dental care right way can help you preserve your smile and avoid infection. Jagged edges of a broken tooth can scratch your tongue or cheek, so use dental wax to coat the rough edges. Knocking out a tooth can be a stressful experience, but it’s important to realize that emergency dentists can often re-implant knocked-out teeth. Find as many pieces of the tooth as you can, and hold the fallen tooth by its crown only. You can also try to place the tooth back in its socket if it remains intact. When a nagging toothache is disrupting your regular activities, it could be a dental emergency. A toothache often indicates a cavity, injury, or dental infection and should be examined at an emergency dental office. A minor case of tooth sensitivity doesn’t always require urgent dental care. However, you may need to contact a dentist if one of your teeth suddenly becomes very tender. Sudden sensitivity occasionally indicates an infection or fracture. Large cavities caused by dental decay leave the tooth’s root exposed, creating a painful sensation. If you suspect a cavity, contact our office for pain relief and the appropriate treatment. Untreated gum disease and severe tooth decay can lead to an infected tooth root, which is referred to as an abscess. Abscesses are typically characterized by intense pain, swelling around the face and neck, and open sores along the gums. This infection can cause complications, so seek care from our office right away if you suspect this condition. If your tooth filling has become lost or dislodged, you may notice soreness around the affected tooth. Tooth fillings should be replaced as quickly as possible, so call our office to schedule an emergency dental care visit. Losing or breaking a tooth crown or restoration causes cosmetic issues with your teeth, but it also leaves the area susceptible to damage. Our dentists provide temporary and permanent solutions that will keep your smile protected and intact. Injury or discomfort associated with metal braces is not uncommon. If your braces have become difficult to wear, schedule an appointment with emergency dentists. They’ll stabilize your appliance and ensure it fits properly. A common dental health problem, nighttime bruxism causes the enamel to break down over time, causing discomfort. However, this condition can be treated successfully using night guards or enamel reinforcement. Call an emergency dental office for more information. The teeth and the sinuses share a complex relationship. Sometimes, a toothache that occurs alongside sinus pressure means that an infection or impacted wisdom tooth is present. Contact our office if you suspect your sinus pain has a dental cause. I’m suffering from severe dental symptoms. Is it time to call for immediate help, or should I wait to visit an emergency dental office near me? What Does It Cost to Visit Emergency Dentists? As with most personalized dental treatment, care from emergency dentists in Virginia Beach varies widely in cost. The severity of your injury or oral health problem, your insurance coverage, and whether additional appointments are necessary will determine your out-of-pocket charges. Emergency dentists will work closely with you to create a treatment plan that fits within your budget. 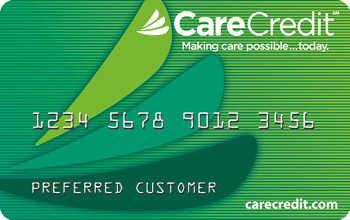 At our dental office we accept multiple credit cards and insurance providers. If you’ve said to yourself, “I need to find a budget-friendly emergency dental office near me,” please call us to find out more about our cost-saving options.